We have very much enjoyed taking people out on canoe day trips to the wonderfully picturesque loch lurgainn in front of the spectacular Stac Pollaidh. Here are just a few highlights from a busy season. Reiff Climbing Festival is in it’s third year and going strong, not even hurricane ophelia could stop us this year. We had huge waves, strong winds and a mighty crazy ceilidh it was a weekend of madness. With a spell of good weather I have been able to teach some lead climbing down at the wonderful pinnacle area of Reiff. All too often I get asked the question, but what will we do if the weather is bad? Like somehow a day of outdoor activities is going to be ruined by a little bit of Scottish drizzle…. There are many ways to ascend the mighty and iconic mountain of Suilven set in the heart of the North West Highlands. But among my favourites this year have been on a 4 day expedition combining canoeing with hill walking and by helicopter for a filming project. 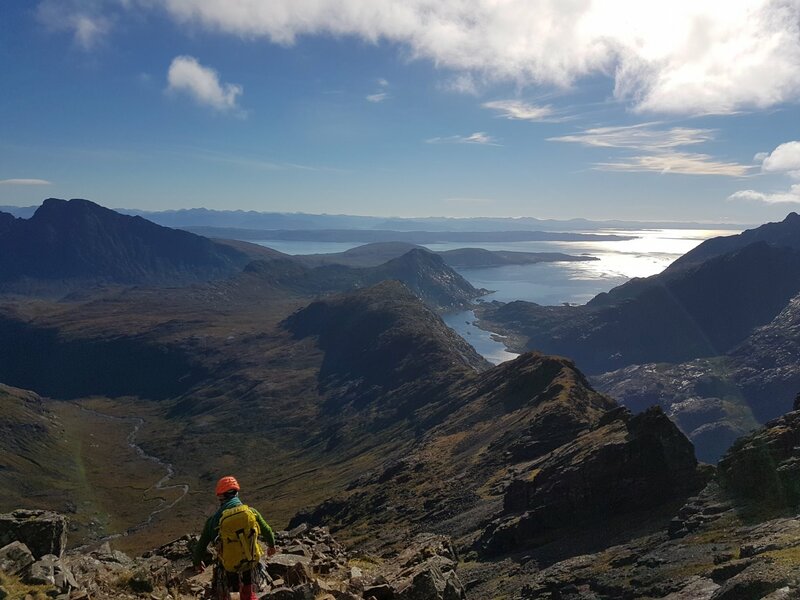 A big tick for any mountaineer the Cullin Ridge traverse is certainly a jewel in the crown of Scottish hillwalking. A very risky booking for late in the season left me wondering if this could be a difficult experience. However October brought us some of the best weather of the year. April hails the start of the Duke of Edinburgh expedition season. This year the hail seems more literal. April usually brings an assortment of weather with sunshine and showers. But this year seems to have brought more sunshine and snow. Lambing snows might be a slight underestimation. It has been a fabulous week of unseasonably warm weather, friends of mine have been running away from the mountains and heading to the shelter and warmth of Reiff. 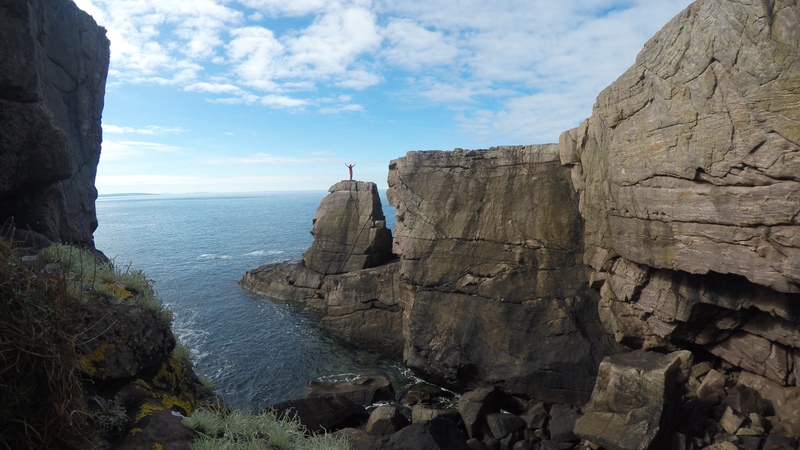 These Torridonian sandstone cliffs have some of the best sea cliff climbing in Scotland. With temperatures into double figures it was a clear choice. March appears to have brought some more stable and clear weather over the North West Highlands of Scotland. Of course it would be rude not to get out in the snow and make the most of it. Our goal, Ben Mor Assynt and Conival.